Yale University Press, 9780300232172, 480pp. Meteorites, mega-volcanoes, and plate tectonics—the old forces of nature—have transformed Earth for millions of years. They are now joined by a new geological force—humans. Our actions have driven Earth into a new geological epoch, the Anthropocene. For the first time in our home planet's 4.5-billion-year history a single species is increasingly dictating Earth's future. To some the Anthropocene symbolizes a future of superlative control of our environment. To others it is the height of hubris, the illusion of our mastery over nature. Whatever your view, just below the surface of this odd-sounding scientific word, the Anthropocene, is a heady mix of science, philosophy, and politics linked to our deepest fears and utopian visions. 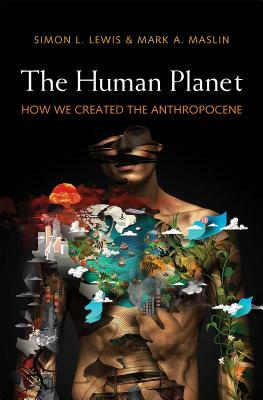 Tracing our environmental impacts through time, scientists Simon Lewis and Mark Maslin reveal a new view of human history and a new outlook for the future of humanity in the unstable world we have created. Simon L. Lewis is Professor of Global Change Science at University College London and University of Leeds. An award-winning scientist, he has been described as having “one of the world's most influential scientific minds”. He has written for the Guardian and Foreign Policy magazine. Mark A. Maslin is Professor of Earth System Science at University College London and a Royal Society Wolfson Research Merit Scholar. He is the author of eight books and has written for The Times and New Scientist. "That humans now dominate the 'natural' systems of our planet is the key fact of our time--this book does a remarkable job of explaining how that came to pass, and why it matters so much. "—Bill McKibben, author Falter: Has the Human Game Begun to Play Itself Out?